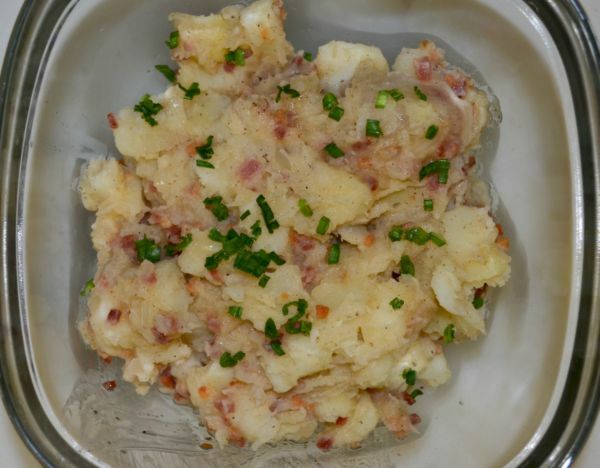 German potato salad is a very popular accompaniment for German food. There is nothing like a platter of smoked bratwurst, sauerkraut, and a generous portion of warm German potato salad. Pour yourself a glass of cold pilsner, and you can imagine that you are in an Octoberfest beer hall. Some variations of this recipe add caraway seeds for extra flavor. Place the potatoes into a pot, and fill with enough water to cover. Bring to a boil, and cook for about 10 minutes, or until easily pierced with a fork. Drain, and set aside to cool. Place the chopped bacon in a large deep skillet over medium-high heat. Fry the bacon until the fat is rendered. Remove bacon from the pan and set it aside. Add onion to the bacon grease, and cook over medium heat until browned. Add the vinegar, water, sugar, salt and pepper to the pan. 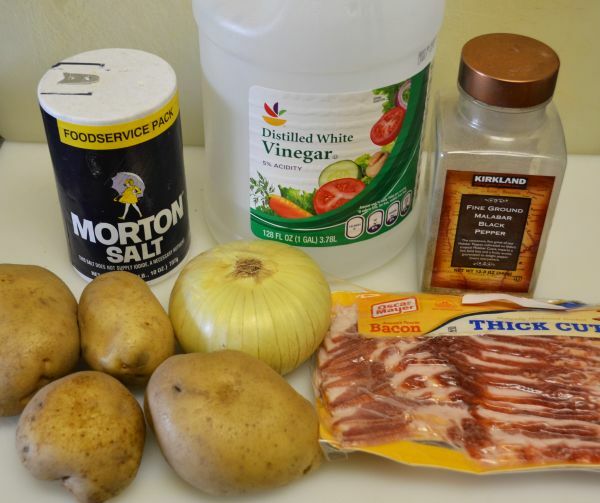 Bring to a boil, then add the potatoes and bacon. Heat through. Transfer to a serving dish and sprinkle with parsley.